The beautiful view at the top of Junction Pool in Karijini National Park photographed at sunrise. The gorge walls reach 100 meters high and provide this stunning view. Here the sunrise colours on the clouds above are reflected in the water below. 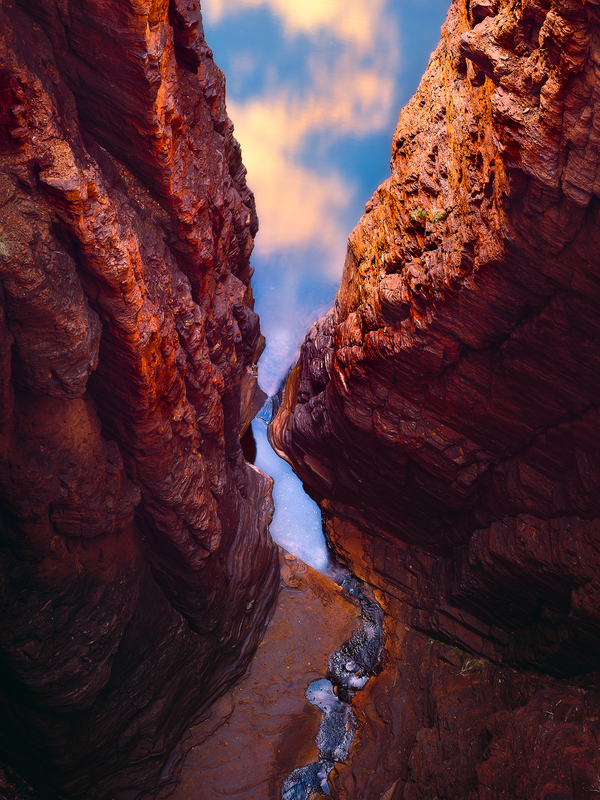 Secure your limited edition, Karijini photographic print, 'Look Down At The Sky', by selecting your desired print size in the menu to the right.